Vladimir Putin is committed to dividing and destroying the West’s democracies, according to a former confidante. “A former K.G.B. officer, he understands how to use disinformation (deza), lies (vranyo), and compromise (kompromat) to create chaos in the West and at home,” he adds. Putin has proved highly sensitive to perceived efforts to undermine his domestic support and seems to harbor exaggerated fears of a Russian “color revolution” on the Ukraine or Georgia models—that is, popular protests and action that lead to the replacement of a government or regime. Influencing a Russian domestic audience will be difficult, but stronger U.S. efforts to do so will certainly get Putin’s attention. Affecting foreign opinion about Russia will be an easier goal for U.S. information operations, the RAND analysis adds. In a separate report – on Russia’s Hostile Measures in Europe – RAND details the Kremlin’s wide range of “measures short of war” to exert influence across Europe and outlines options for countering them. Russia uses a wide range of hostile measures—also known as measures short of war—to exert influence across Europe, notes RAND report, outlining options for how to counter them. The U.S. could hack and release embarrassing information about Putin’s personal wealth as a bargaining chip to convince him to halt digital attacks, say David Maxwell and Annie Fixler with the Foundation for Defense of Democracies. U.S. officials could also release information about corrupt business practices by Chinese Communist Party officials or Iran’s theocratic rulers with similar goals, they add. “This generated from our thinking about where our adversaries are weak and we’re strong,” Fixler told the Post’s Vincent Marks, highlighting an idea from the think tank’s “Midterm Assessment” of the administration’s foreign and national security policies. As sinologist and political scientist Katika Kühnreich explains, China’s ‘Social Credit Systems’ operate a form of gamified control that the Chinese government plans to introduce nationwide, so that by the end of the decade the entire nation could be under surveillance…..Russia’s ‘hybrid war’. As political scientist Mark Galeotti writes, this entails more than a combination of covert and overt aggression. The European Commission and the Member States are increasingly concerned about the safety, integrity and legitimacy of the forthcoming European elections. 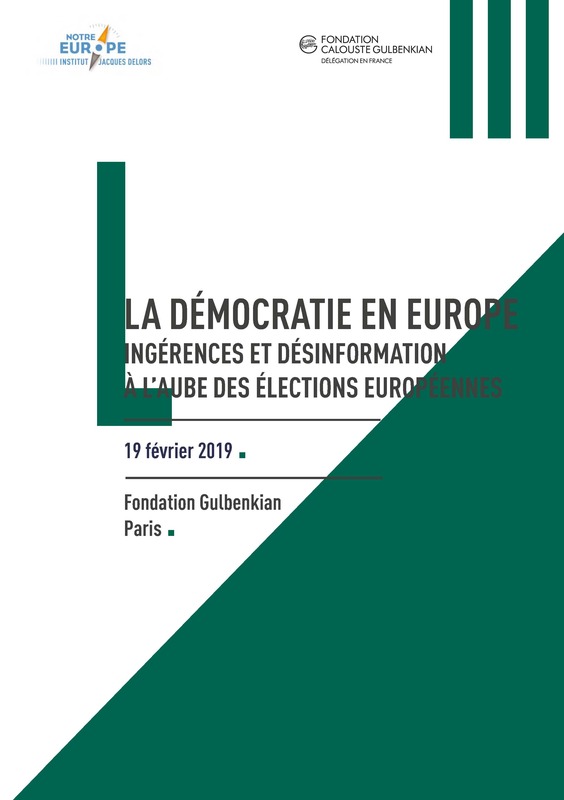 The threats are indeed many and varied: voluntary and massive dissemination of misleading content, use of false accounts to increase the scope and virality of certain political messages, strategic hacking, cyberattacks on the electoral infrastructure, leakage of compromising information, etc., notes the Jacques Delors Institute (above).